Lynda Monk, MSW, RSW, CPCC is the founder and director of Thrive Training + Coaching. She offers training workshops, coaching programs and inspirational speaking to various government and non-profit organizations with extensive experience in healthcare, education, emergency services, First Nations’ communities, as well as the human and social services sectors. As a Registered Social Worker, Certified Professional Co-Active Coach, trainer and facilitator, Lynda brings over 25 years of combined clinical and training experience in both individual and organizational change. She has trained thousands of professionals in various jurisdictions across Canada and worked one-to-one with hundreds of clients over the years. Lynda believes the well-being of helping professionals, leaders and change agents is an ethical imperative and foundational to quality service delivery and truly making a difference in caregiving organizations. I know you are on this page because you want to know more about me, my credentials, my experience and the like – which you can find by continuing to read below. But before you do that, I think it is equally important for you to have some sense of why I do what I do…it’s easy for us to list our resume and credentials, what we have to offer and so forth. As important, I believe, is having some idea about why we do what we do. For me, I do what I do because in my early years as a social worker, while I loved what I was doing, I became more interested in the impact constant change and the nature of emotional labour (work that involves caring for others) has on the professionals who get out of bed every day to make a difference – often amidst very high stress and high trauma work situations. I noticed that many of my colleagues were suffering from stress and burnout (which as a relatively new social worker at the time, I wanted to try to avoid!). I also noticed that the organizations I worked in were constantly going through changes in their effort to deal with the many internal and external demands placed upon them. It seemed we never paused to really look at how we, the staff and the overall workplace, were actually coping in the midst of it all. At times, people suffered and at times, the overall workplace suffered too. After a few years of experiencing this, I thought to myself, there must be better ways to deal with these common challenges other than simply accepting all the negative consequences of high stress, trauma and change (which seemed to be the norm). This curiosity resulted in me devoting my Masters of Social Work studies (1995-1998) to deepening my knowledge and understanding about burnout prevention, resiliency and change. I wanted to know: how do individuals and organizations meet the high demands of the work AND also stay healthy, happy and thriving while doing it so that we can truly make the difference we are here to make? I have been continuing to answer this question ever since. Some of the answers and solutions that I have learned along the way are at the heart of my offerings through Thrive. Lynda holds a Masters of Social Work (University of Northern British Columbia); Honours Bachelor of Social Work (Lakehead University); Bachelors of Arts (University of Western Ontario); Certified Professional Co-Active Coach (The Coaches Training Institute). Lynda holds numerous other professional certifications and training including in such things as Critical Incident Stress Debriefing, Motivational Interviewing, and various healing modalities. She is a life long learner and you can always find her taking courses! 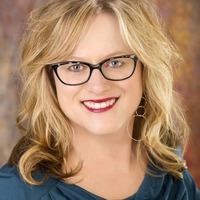 Lynda has authored and/or co-authored more than 20 training programs and published various articles in areas such as Change Management, Stress Management, Resiliency, Burnout Prevention, Compassion Fatigue, Vicarious Trauma, Leading During Times of Change, Writing for Wellness, Therapeutic Journaling for Self-Care, and Care for the Caregivers. Lynda’s wellness coaching programs have been featured in two Group and Team Coaching books authored by Jennifer Britton (published by Wiley and Sons). She has been a guest presenter at the University of British Columbia, University of Victoria, a previous instructor with the Justice Institute of B.C., and was a long standing associate with Fisher and Associates – organizational health and employee wellness specialists for trauma-informed workplaces. Lynda was also an instructor with University of British Columbia, Continuing Studies offering both online and in-person courses. Lynda is a Registered Social Worker (RSW) through the BC College of Social Workers (BCCSW) in British Columbia, Canada; as well as member of the British Columbia Association of Social Workers (BCASW), the Canadian Association of Social Workers (CASW), and the International Coach Federation (ICF). She participates in her local Vancouver Island Coaches Association chapter. She adheres to the ethical guidelines of these respective professional bodies to ensure a high standard of service and care for her clients. She is also a member of both eWomen Network and the Women Speakers Association. If there is anything else you would like to know, to determine if Lynda is the best trainer, coach and/or speaker for the unique learning and development needs within your organization, please ask! Contact Lynda directly to explore what’s possible! Thank You.